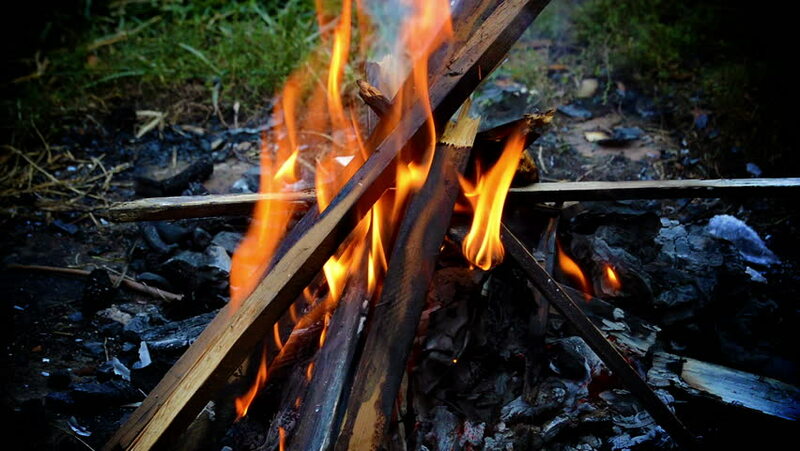 hd00:11Bonfire Burns in the Camping Amidst a Tent and Logs in the Forest. Slow Motion in 96 fps. Beautiful view of burning wood in the daytime. Open fireplace. Tent at the background.